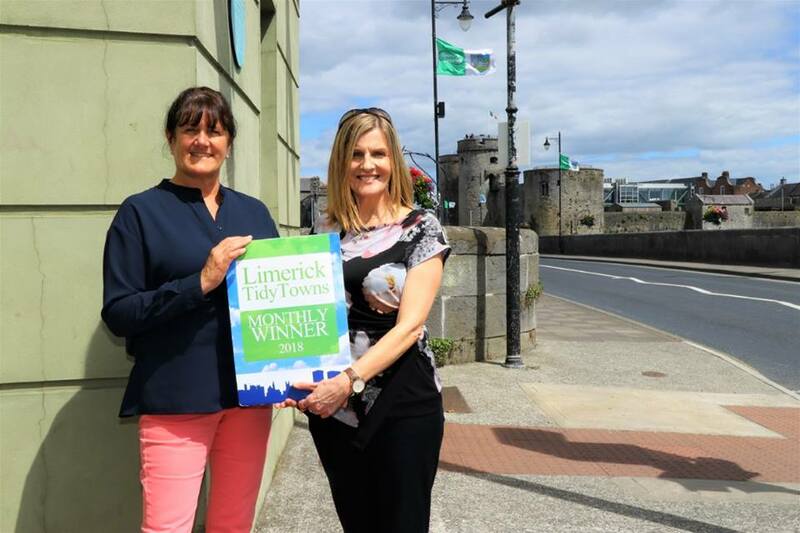 Limerick City Tidy Towns’ monthly award for June 2018 has gone to Jack Mondays coffee house, Thomondgate. 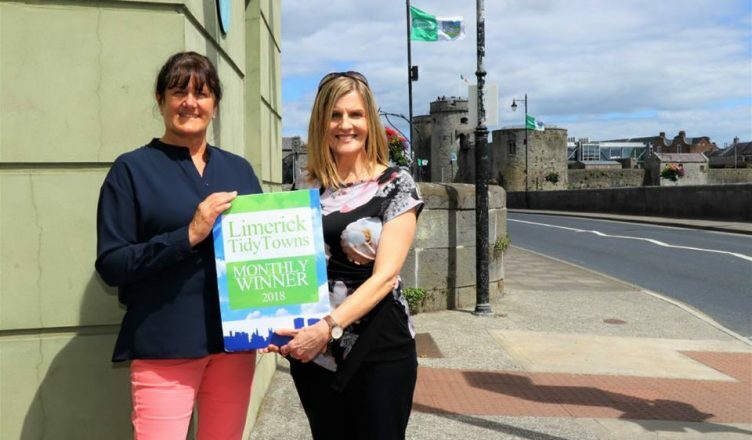 Pictured outside the property being presented with the award by Maura is the owner Fiona Ashworth (photo Sophie Goodwin/ILoveLimerick). Jack Mondays’ location in such close proximity to King John’s Castle means that its appearance is of vital importance in how it reflects our city to visitors and tourists to the medieval quarter of Limerick. It is therefore great to see the effort they put into maintaining the high standards they are well known for, not just in the food they serve but in the exterior of the premises, with its spotless paintwork and windows, welcoming plants and famous Jack Monday “soldiers” standing guard at the entrance. Its rear outside seating area overlooking the River Shannon and the Castle also boasts one of the best views in Limerick city and is a firm favourite with customers, especially at this time of year. Jack Monday’s Coffee House first opened in 2011 and has become renowned for the quality of its food and its welcome. Open 7 days a week, Mon-Sat 8.30 am – 6.00 pm and Sundays 10.00 am – 6.00 pm serving hot food such as homemade beef lasagne served with garlic bread, homemade quiche served with house salad, warm caesar salad, homemade scones and lots more mouth-watering dishes to choose from, including great coffee and their famous hot chocolate and belgian waffles. For more information see their Facebook Page, call them on 061 279296 or just drop by while you walk the bridges of Limerick. Jack Monday’s Coffee House is Limerick City Tidy Towns’ sixth monthly winner for 2018, following St Michael’s Rowing Club in January, Foot Solutions in February, La Fromagerie in March, Portleys Bar in April and Be Your True Self in May, and will be in with the chance of winning this year’s overall prize at our annual event to be held early in 2019.